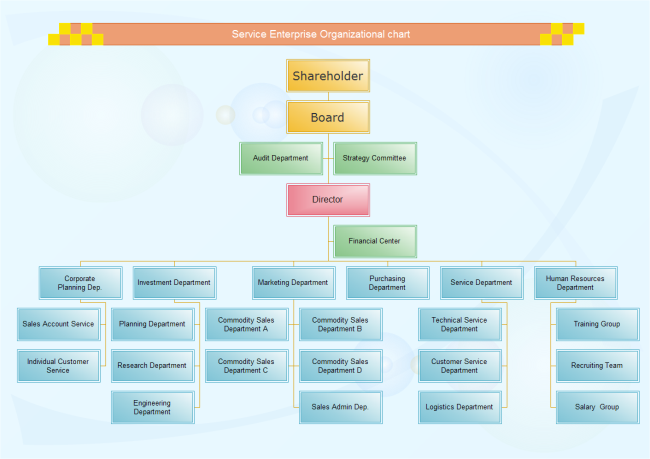 Description: A free customizable service enterprise org chart template is provided to download and print. Quickly get a head-start when creating your own service enterprise org chart. Get a pictorial representation of your company's structure and reporting relationships super fast with this template..